Umeco Structural materials (Warwickshire, UK) has developed two composite-based solutions for the rail sector that promise to slash processing time and part weight. They will be on display at the InnoTrans Rail Exhibition in Berlin, Germany, between September 18 and 21, 2012. A rail demonstrator panel fabricated by the company can reportedly reduce manufacturing times by as much 50% when compared to traditional composite materials. 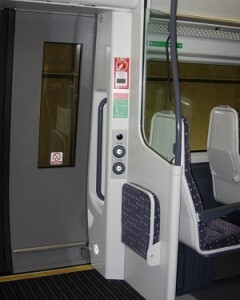 The panel adopts a sandwich construction manufactured using the company’s BPS240 format 1 body-panel system. This system also offers class ‘A’ compatible stable surfaces and can, in many instances, be painted straight from the mold without any reworking according to Umeco. Using Umeco’s ZPREG rapid deposition technology, which comprises a stable, high-temperature structural fabric and integrated surface film, BPS240 format 1 offers excellent surface quality, even from vacuum-only cures, says the company. 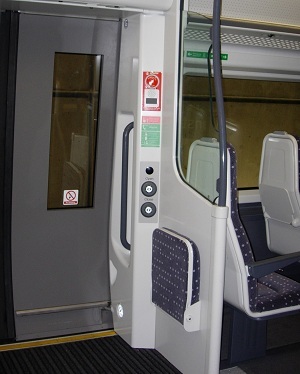 Umeco is also exhibiting a range of parts made using its MTM 82S-C glass/phenolic prepreg, which was used successfully by Ipeco Composites (Clevedon, UK) to make standbacks for Bombardier Transportation’s Class 379 Electrostar EMU Passenger Trains. National Express, the train operator, is benefiting from reduced in-service operation and maintenance costs brought about through a significant weight saving and the robust nature of prepreg composite parts. At only 6.4 kg per unit, the standbacks provide a 40% reduction over a typical 10.5-kg wet lay-up structure.